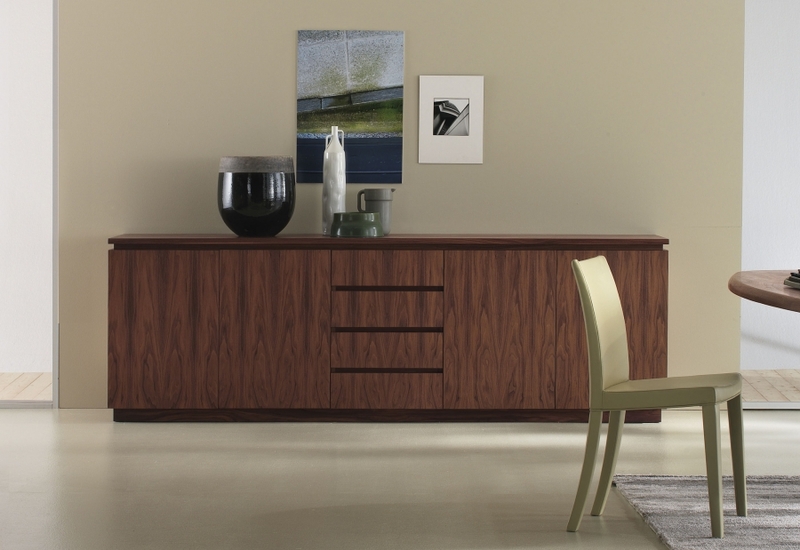 A sideboard with a modern and spare design, characterised by the sobriety of its lines. 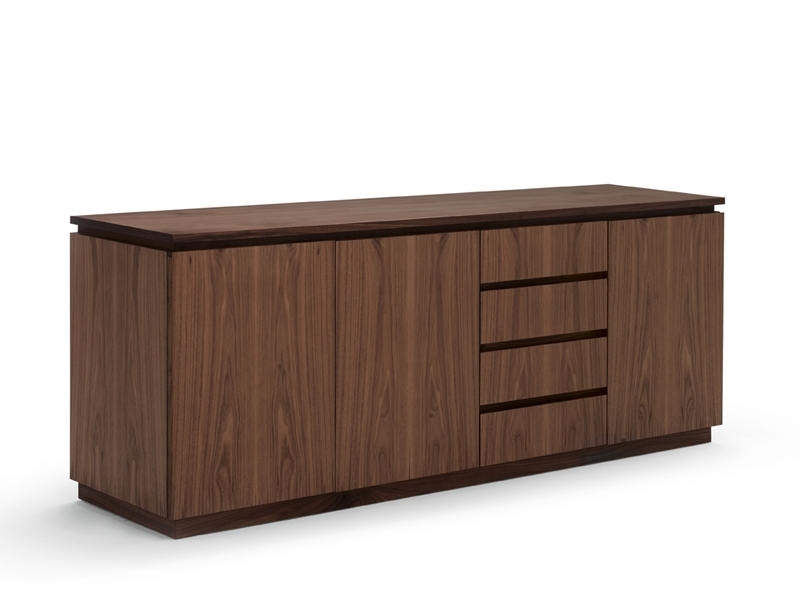 Available in various configurations with door-fronted units and drawers in different sizes. In the photograph, the model is made of veneered American walnut. 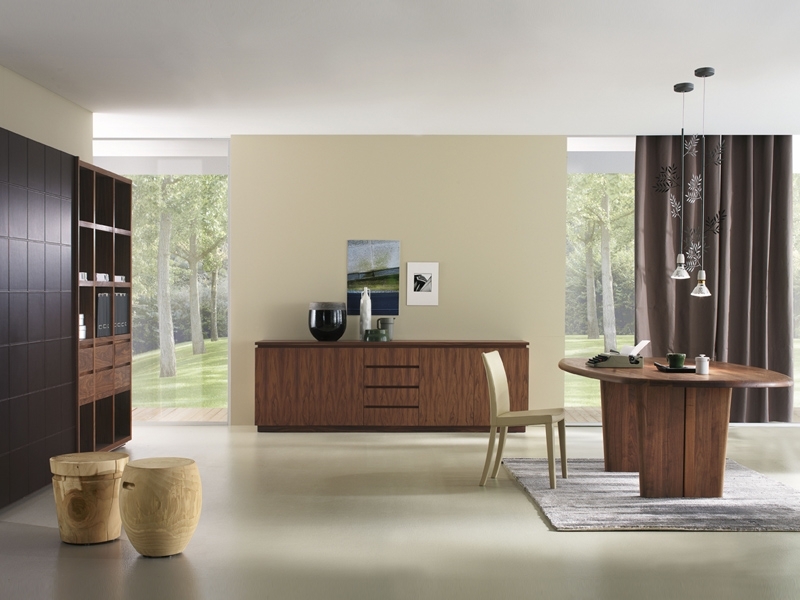 The finish is with hand-applied oil. 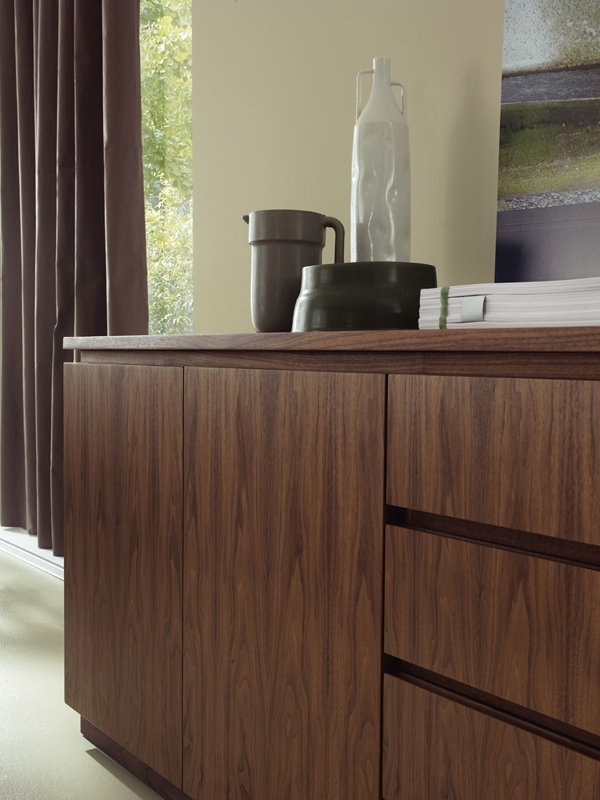 The drawers are double-fronted and run on metal rails using a soft-close system. 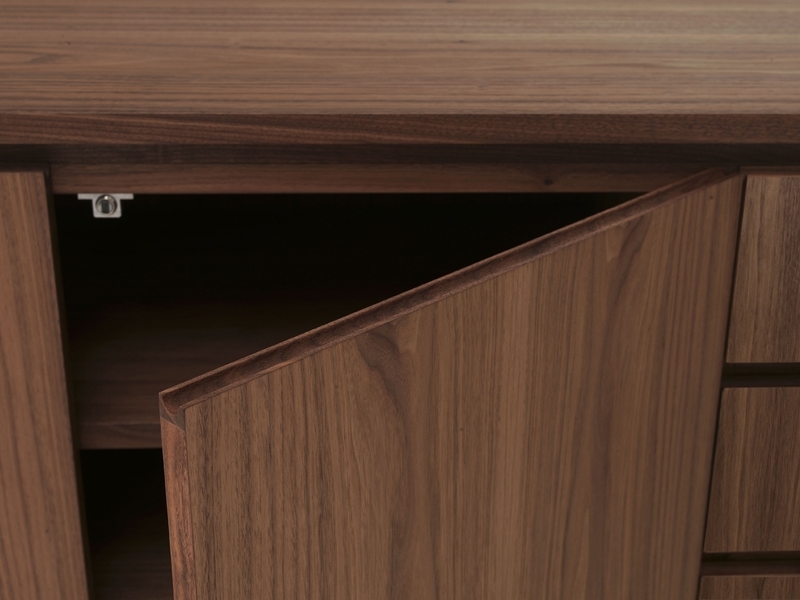 The doors are supplied with metal hinges that slow down and soften the closure. 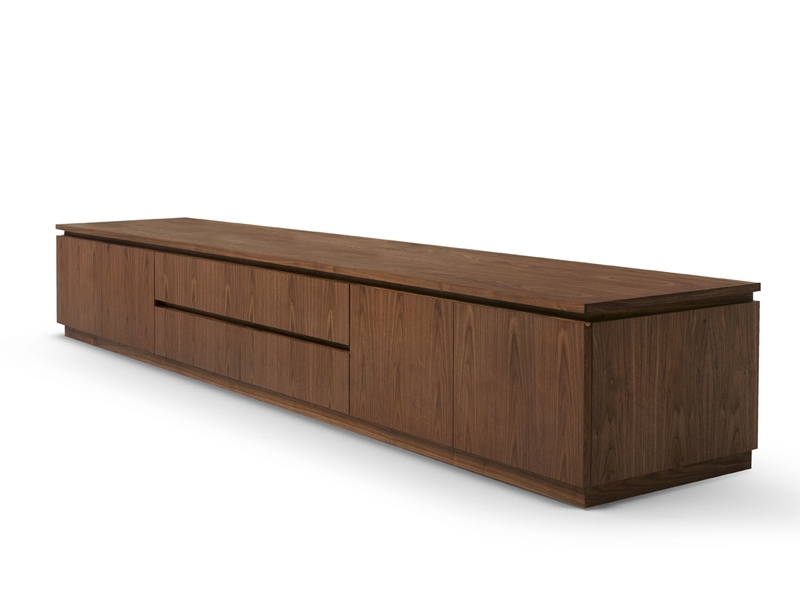 We draw your attention on the indent between the top and the base: it enhances the lightness of the sideboard.